Open to all ages! Asha, our Klippel and Sturge Weber warrior shares the joy of beading with everyone as she shares her materials (Fingerlings, Shimmer and Shine, My Little Pony, Smashers, Hatchimals, Lalaloopsy, Smooshy Mushy Besties, and Shopkins) with all. 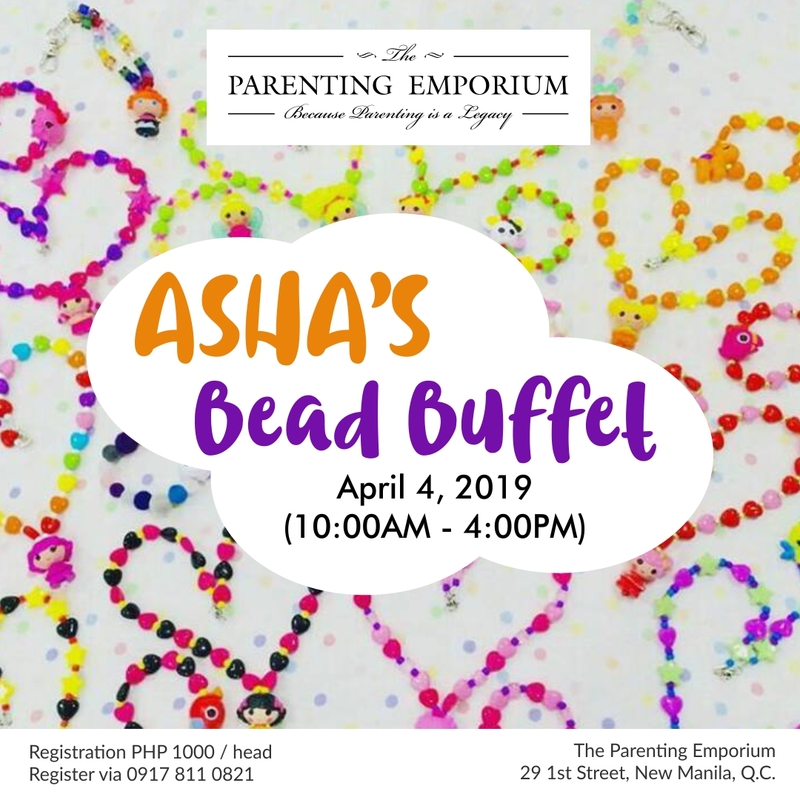 Asha will give 20% of buffet fees to a little child with Retinoblastoma as she shares her blessings with others. The rest will go to Asha’s medical and school expenses. Fee is P1,000.